Norway's Carpathian Forest have returned with a new recording which continues their Norwegian style of black metal and this is a review of their 2018 ep "Likeim" which was released by Indie Recordings. Spoken word samples start off the ep before going into a very fast and raw musical direction which also uses a great amount of blast beats along with the vocals being mostly angry, grim yet high pitched black metal screams while the music also brings in a great amount of punk elements. Keyboards can also be heard at times while all of the musical instruments have a very powerful sound to them while the solos and leads also stick to a very raw style along with the second track also bringing in a great mixture of slow, mid paced and fast parts and both of the tracks are very short in length. 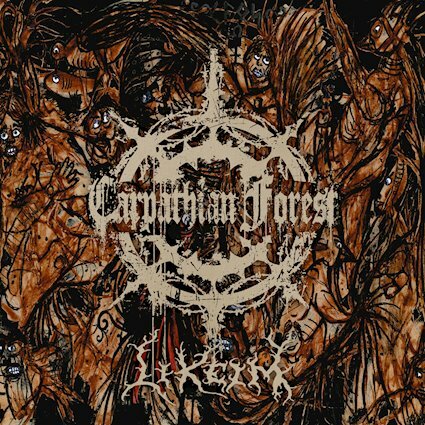 On this recording Carpathian Forest pick up where they left off on t heir past release while also adding in more punk elements this time around, the production sounds very raw and heavy while the lyrics cover dark and violent themes. In my opinion this is another great sounding recording from Carpathian Forest and if you are a fan of this band, you should check out this ep. RECOMMENDED TRACK "All My Friends Are Dead". 8 out of 10.